REBA, BROOKS & DUNN ANNOUNCE SHARED GIG AT CAESARS PALACE: Superstar entertainers Reba McEntire, Kix Brooks and Ronnie Dunn will join forces to launch a one-of-a-kind country music residency “REBA, BROOKS & DUNN: Together in Vegas” opening June 24, 2015, at The Colosseum at Caesars Palace. Announced dates include: June 24, 26 and 27; July 1, 3 and 4; and Dec. 2, 4, 6, 9, 11 and 12. Tickets range from $59.60 to $205.As a multi-media entertainment mogul, Reba has become a household name with a successful career that spans across music, television, film, theater and retail industries. She has achieved a rare pinnacle with 35 No. 1 singles and more than 56 million albums sold worldwide along with starring in her own sitcom “Reba.” Superstar duo Brooks & Dunn released their first album in 1991 and since then went on to become the best-selling duo in country music history with more than 30 million albums sold. 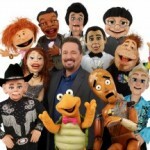 TERRY FATOR EMBELLISHES CHRISTMAS SPIRIT AT THE MIRAGE: The Mirage’s ventriloquist headliner Terry Fator with his puppet sidekicks celebrate the holiday season with a whole show built around Christmas. Billed as “A Country Christmas,” Fator has many characters dropping by to visit. The setting is a holiday decorated living room. Each visitor rings the doorbell and enters through a front door with the running joke being the Santa outside on the lawn is only say “Ho,” which elicits all sorts of innuendos.It’s subtle but different stockings get added and hung on a video mantel that represents Fator’s varied visitors like fancy cowboy boots for an Elvis-like puppet, etc. 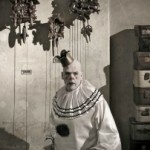 Fator as always shows off his celebrity ventriloquist voice, but he also sings as himself and shares nice tunes he wrote. This Christmas show has a definite adult-edge to it but children would busy themselves just looking at the incredible array of puppet characters like everyone’ s favorite…Winston the Turtle. Shows are 7:30 p.m. Monday-Thursday through Dec. 26 and tickets range from $75.84-$174.84. 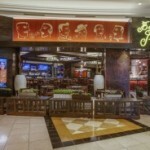 BORDER GRILL NOW OPEN AT THE FORUM SHOPS AT CAESARS:Chef/Owners Mary Sue Milliken and Susan Feniger of Bravo’s “Top Chef Masters” and Food Network’s “Too Hot Tamales,” finally opened their Border Grill at The Forum Shops at Caesars on the first floor adjacent to the distinctive spiraling escalator. The stylish new dining establishment is open daily for lunch, brunch and dinner with a vibrant, modern design that encompasses an open floor plan including an indoor patio that flows into the cantina lounge, a dynamic ceviche bar, demonstration kitchen, plus private dining room and bar. ‘LE RÊVE’ AT WYNN GETS NEW MULTI-MILLION DOLLAR SHOW ELEMENT: As “Le Rêve – The Dream,” the aquatic and aerial show at Wynn Las Vegas, approaches its 10-year milestone in 2015, the production has introduced an installment that incorporates spectacular water, fire and projection technologies. Entitled the “Dénouement,” a French term for a final part of a narrative where the plot is revealed, the $3 million scene is situated as the penultimate act in the 75-minute production. More than 18 months in the making, the “Dénouement” includes 172 high-powered fountains, 120 individual LED lighting fixtures and 16 fire-shooting devices. ‘SHOWSTOPPERS’ SET TO OPEN AT WYNN: Debuting on Dec. 16, Steve Wynn’s “ShowStoppers” will bring a talented cast of 34 singers and dancers, backed by an on-stage 30-piece orchestra, to the Encore Theater at Wynn. The 90-minute production with dazzling scenery and costumes, is composed of many quintessential musical numbers from some of the most celebrated composers and lyricists to ever grace Broadway. MARTORANO’S IS OPEN AT PARIS LAS VEGAS: Making his Strip debut, Steve Martorano’s second Las Vegas location is now open at Paris. In typical Martorano fashion, the popular cook, DJ and cookbook author brings to the new location his signature dishes and his one-of-a-kind entertainment offerings with movies and music. Martorano’s at Paris features the classics as well as specialty menu items fans love. MAHANA SPA NOW OPEN TO PUBLIC AT TAHITI VILLAGE: Tahiti Village at the South end of the Strip has opened the newly-renovated Mahana Spa on the ninth floor of Tower Five for the public. Previously reserved for Tahiti Village guests only, Mahana Spa provides massages, facial treatments, waxing packages and rejuvenating body rituals in 50, 80 and 90-minute packages for men and women. 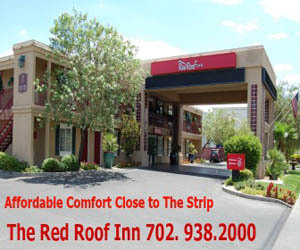 The spa offers three well-equipped treatment rooms; call 702-440-6855. For locals through Jan. 31, there is a 10 percent Mahana Holiday Discount. SEARSUCKER LAS VEGAS WILL OPEN AT CAESARS PALACE NEXT SPRING: Searsucker Las Vegas will make its debut at Caesars Palace, adjacent to Omnia Nightclub, in Spring 2015. Under the helm of celebrity chef Brian Malarkey, Searsucker will join existing outposts in Austin, Texas, Del Mar, Calif., and the restaurant’s flagship location in San Diego’s famed Gaslamp Quarter. The restaurant will be open nighty for dinner and offer Malarkey’s contemporary spin on American classic comfort foods in a laid-back atmosphere. TAPAS BY ALEX STRATTA OPENS IN TIVOLI VILLAGE: Two Michelin-starred celebrity Chef Alex Stratta will open Tapas by Alex Stratta in Tivoli Village on Dec. 17 serving modern tapas with prominent Spanish accents. The 2,700-square-foot restaurant with a 95-seat capacity including 38 on the patio will highlight an exhibition kitchen with vintage ovens, crystal chandeliers and contemporary polished and faux finished floors. Menu will include daily baked artisan breads, Spanish cheese and cured meat section, fresh seafood, organic meat, poultry and seasonal vegetables. 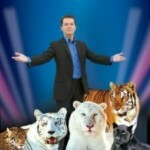 DIRK ARTHUR’S WILD ILLUSIONS’ OPENS AT RIVIERA: Magician Dirk Arthur is back on the Strip headlining his magic show featuring rare animals in the Starlite Theatre at the Riviera. His shows, which are dark on Friday, are at 7 p.m.; however, he is performing additional 4 p.m. matinee shows Dec. 20-30. His show is fast paced with Arthur displaying close up magic mixed with big illusions. TRYTHETOWER OFFERED IN JANUARY BEFORE SCALE THE STRAT 2015: If you’re not sure if you can tackle all 108 floors and 1,455 steps inside the iconic Stratosphere Tower on March 1, 2015, for the seventh annual extreme stair climb Scale the Strat, then #TrytheTower is for you. 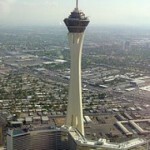 The American Lung Association in Nevada and Stratosphere will present a special partial practice climb on Saturday, Jan. 24, 2015, at 7 a.m., allowing climbers access to the stairwells at the very top of Stratosphere Tower, Level 101 to Level 112, and 234 stairs that can be climbed in small groups as many times as possible in 30-minute intervals. As climbers reach Level 112, they will be outdoors and experience one of the best views in Las Vegas. The cost is $30, and each climber will receive two VIP coupons for free admission on Saturday and Sunday, Jan. 24-25, 2015, which is up to a $40 value. Climbers can sign up in advance, visit www.ScaletheStrat.com. TONY SACCA BOOK SIGNING WITH FREE MUSICAL FROG AT MCCORMICK’S:Performer Tony Sacca will be signing his tell-all biography, “Tony Sacca: Las Vegas Ambassador of Entertainment,” on Friday, Dec. 12, 2014, at 5:30 p.m. during Happy Hour at the newly remodeled McCormick & Schmick’s Seafood & Steaks. With each book purchased, Sacca is giving a free adorable musical frog that is a perfect holiday stocking stuffer. McCormick & Schmick’s at 335 Hughes Center Drive has a Happy Hour running from 4 to 7 p.m. Monday through Friday in the bar area. COMMONWEALTH HOSTS ‘PUDDLES’ PITY PARTY’ FOR NEW YEAR’S EVE: Commonwealth located in the Fremont East District Downtown, will host “Puddles’ Pity Party,” a birthday party-themed bash to welcome the New Year on Wednesday, Dec. 31. The party will star a seven-foot traveling clown named Puddles, who will wish 2015 a “Happy Birthday” by performing three original shows at 11 p.m., 11:45 p.m., and 12:45 a.m. in the downstairs lounge area of the venue. Guests will also enjoy a complimentary midnight champagne toast, balloon animals and other celebratory surprises throughout the evening. Cover charge for Commonwealth’s New Year’s Eve celebrations will be $20 for men and $10 for women, depending on capacity. Attendees may also purchase an all-you-can-drink cocktail package for $50 or reserve a VIP booth for $60 per person, per booth, pending availability. Tickets are available for purchase on the Commonwealth website. QUIK’ ITEMS: Gordon Ramsay will open his newest venue, Gordon Ramsay Fish & Chips, at The LINQ Promenade in Spring 2015. The takeaway-style British restaurant will feature fish and chips, among other types of traditional British comfort food. 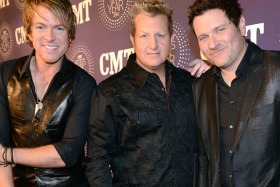 Chart-topping music group Rascal Flatts will start their first Las Vegas country residency, “Rascal Flatts Vegas Riot!,” at The Joint inside Hard Rock with nine shows between Feb. 25 and March, 14, 2015. PBR Bull Rider Rocky McDonald will be signing autographs Dec. 12 from 6-8 p.m. at Lagasse’s Stadium inside The Palazzo. The Stetson Country Christmas Western Gift Expo is where cowboys and cowgirls shop in Las Vegas during the National Finals Rodeo. Covering the entire ground floor of the Sands Expo there is everything you need for everyone on your Western Lifestyle Christmas Shopping List. The expo runs Dec. 4-14, 10 a.m.–5 p.m. daily. Imagine Exhibitions Gallery current feature, Da Vinci The Exhibition, at The Venetian Las Vegas® will conclude its limited engagement there on Jan. 15, 2015.The Fremont Street Experience will kick-off the holiday season at the 3rd Street Stage with the annual Christmas Tree Lighting Ceremony on Dec. 9 at 5 p.m. Mayor Carolyn G. Goodman and Santa Claus will light the 50-foot tree. The Grand Menorah Lighting Ceremony will be on Dec. 16 at 4 p.m. at Fremont and 4th Street again with Mayor Goodman. The Monte Carlo has started “Yoga in the Plaza” for its hotel guests on Saturdays at 8 a.m. The Strip-side location provides a revitalizing setting for the complimentary hour-long class led by Alicia Goldsmith, who has taught yoga for more than 19 years. This winter, Miracle Mile Shops at Planet Hollywood will convert nearly 6,000 square feet of open space into four new retail destinations and welcome M•A•C Cosmetics, Desigual, LUSH Fresh Handmade Cosmetics, and a larger, renovated House of Hoops by Foot Locker. The Forum Shops at Caesars three-levels of shopping and dining at more than 160 specialty shops and restaurants. The world-renowned shopping destination will be open for regular business hours on Christmas Eve, Christmas Day and New Year’s Day until 11 p.m. On New Year’s Eve, the stores will close at 6 p.m. while the restaurants will remain open. NEON TO NATURE WALKING TRAILS APP NOW AVAILABLE: The Southern Nevada Health District recently launched a new app for smart phones that can help Southern Nevadans and visitors alike connect to the Valley’s 600+ miles of walking paths and trails. The app can be downloaded through the Apple Store and Google Play. The Neon to Nature app allows users to find urban or rural trails and parks in neighborhoods throughout the Las Vegas Valley and offers detailed information. CHEF MOONEN AUCTIONS NEW YEAR’S EVE PARTY AT RX BOILER ROOM: One lucky individual and 99 of their closest friends will be ringing in 2015 at Rx Boiler Room inside The Shoppes at Mandalay Place when they win the auction that will go to the highest bidder for a one-of-a-kind New Year’s Eve celebration. The money raised from the auction will go to a charity of the winner’s choosing, with open bidding taking place until Dec. 10. In addition to taking over the space for their private event, guests will relish live music, delectable plates created by Chef Rick Moonen and four hours of an open bar serving specialty cocktails created by lead barman Eric Smith. Rx Boiler Room will cover every opulent detail to ensure an unforgettable evening for all in attendance, including the champagne toast at midnight. Bidding for this extravagant evening starts at $10,000. Those interested in acquiring the space can contact Melissa Eichelberger at Melissa@RickMoonen.com.